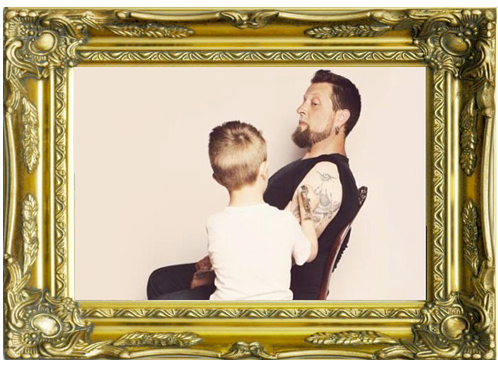 Joshula, who grew up in the Philadelphia, PA area, traces his interest in tattoos back to when he was only 6 years old and ran into a group of tattooed bikers at a McDonald’s with his Dad. His parents helped to encourage his artistic development by enrolling him into classical art training at age 7 where he gained an appreciation for sculpture and fine art. Josh went on to study illustration and graphic design at the Art Institute of Philadelphia. At age 22, he relocated to Myrtle Beach, SC where he became the first “legal” tattoo apprentice in the state of South Carolina after the state’s 40 year ban on tattooing was lifted in 2006. Josh started his career at Elite Ink Tattoos. A year and a half into his tattooing career, Josh moved to Chattanooga, TN to manage Sacred Heart Tattoo. While in Chattanooga he also spent time at Standard Ink and Black Hand Tattoo. Josh mentions sculpture, pop art and graffiti as the main contributions to his style and counts: Michaelangelo, Bernini and Rembrandt as some of the main influences on his high-contrast, bold approach to tattooing. Josh grew up writing graffiti in Philadelphia and also drew inspiration from graffiti legends such as: Crayola, Twist, Past and Sweat. In 2013, Josh moved to Cincinnati and begin tattooing at Live Loud Studios. He says that opening his own shop was a seed that was planted in his mind by the owner of the first shop he apprenticed with. Josh can’t hear Neil Diamond’s “Sweet Caroline” without singing along. His mom was a huge Neil Diamond fan and the artists catalog has been burned into Josh’s memory.